Dr. P. J. Miller's story is unique. Growing up in New York City, who would have thought that he’d complete his veterinary degree at the Royal School of Veterinary Studies in Edinburgh, Scotland? 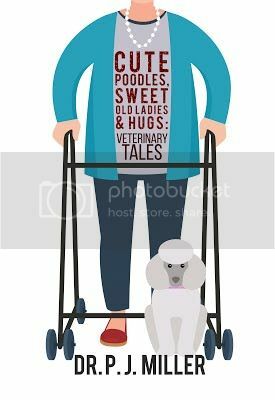 In Cute Poodles, Sweet Old Ladies & Hugs, Dr. Miller has assembled a "greatest hits" of veterinary tales—stories that include colorful clients, wisecracking hospital staff, and pets that aren't always friendly. Dr. Miller gives a glimpse of how strong and emotional the human-animal bond can be, becoming an instant must-read for any aspiring veterinary professional or animal lover that wants to know what it is really like to be a veterinarian.